I come into cycling from bushwalking and geocaching background keen to extend my outdoor activities as well as improve my fitness, enjoyment of life, contribution to the environment and so on. started bicycling in July 2007 and have been mainly commuting since then with my first foray into touring being a weekend mountain bike tour in October 2007, completing the Waterous Trail. 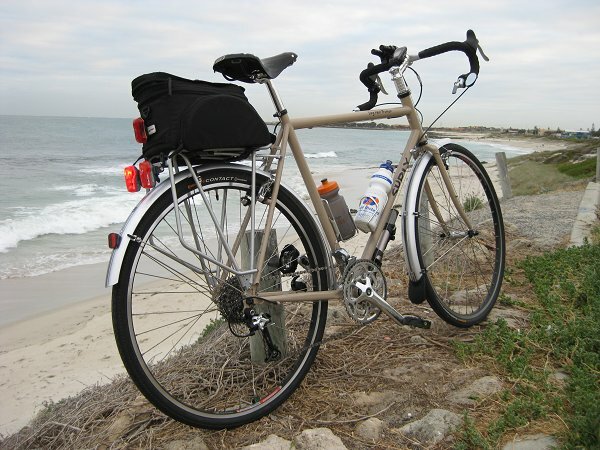 Description: The Surly has been brought touring and as such will be configured for same. However, I hoping to also use it as my city (commuting) bike or at least my winter commuter. You can read more about it at http://snipurl.com/f8m9m.